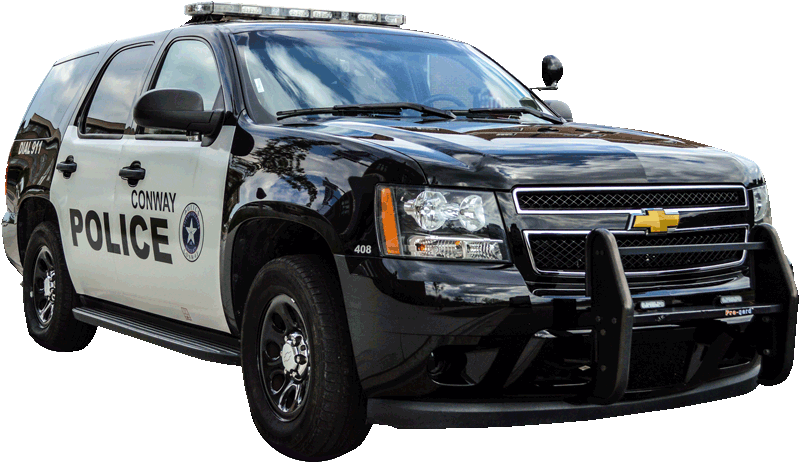 Welcome to the Official Website of the Conway Police Department. 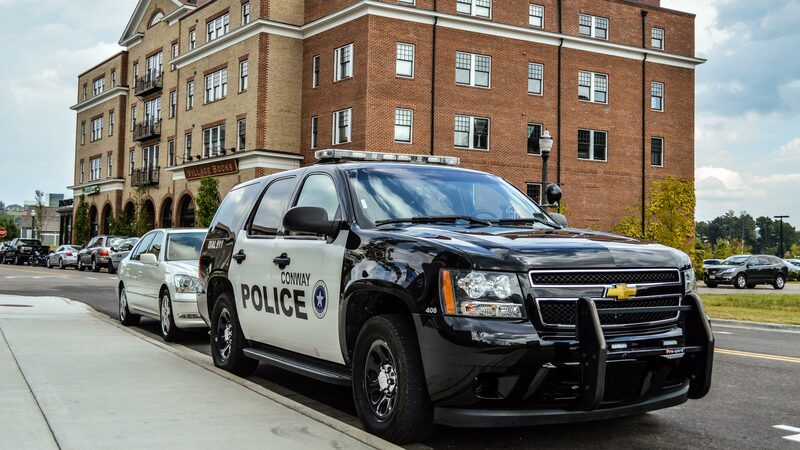 The Conway Police Department has 127 sworn officers and 44 non-sworn personnel serving an estimated population of approximately 65,000 residents and over 40 square miles of jurisdiction. 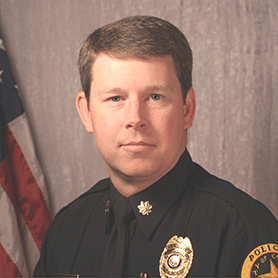 As Chief of the Conway Police Department, it is my privilege to serve the citizens of Conway. 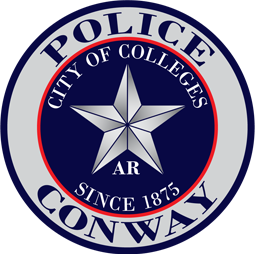 Mission Statement: We, the members of the Conway Police Department, are committed to protecting and serving the citizens of Conway, Arkansas. That is our highest calling, as we pledge to join hands with others in carrying out our sworn duty to uphold the law. Values: To hold ourselves to a higher level of excellence without compromise — To provide consistent and non-biased treatment for all citizens — To address citizens’ concerns by acknowledgement, assessment and action — To embrace and respect the various cultures which make up our community. 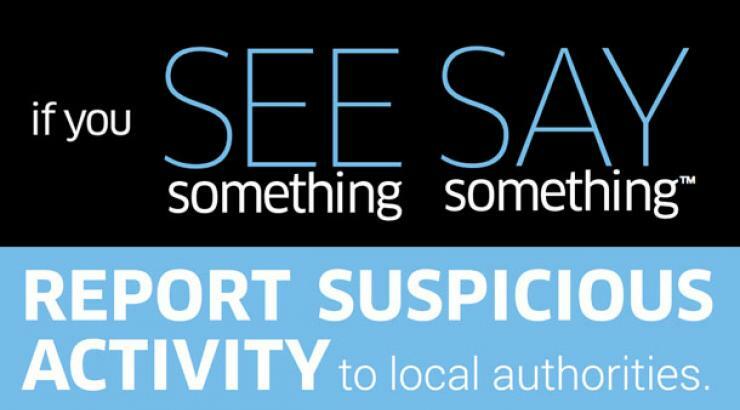 Vision: May our vision always be to help create a safer community in which to raise our families and thereby promote a brighter future for all. The city of Conway is broken up into police patrol districts. Use the map to locate the district in which you live and/or work. 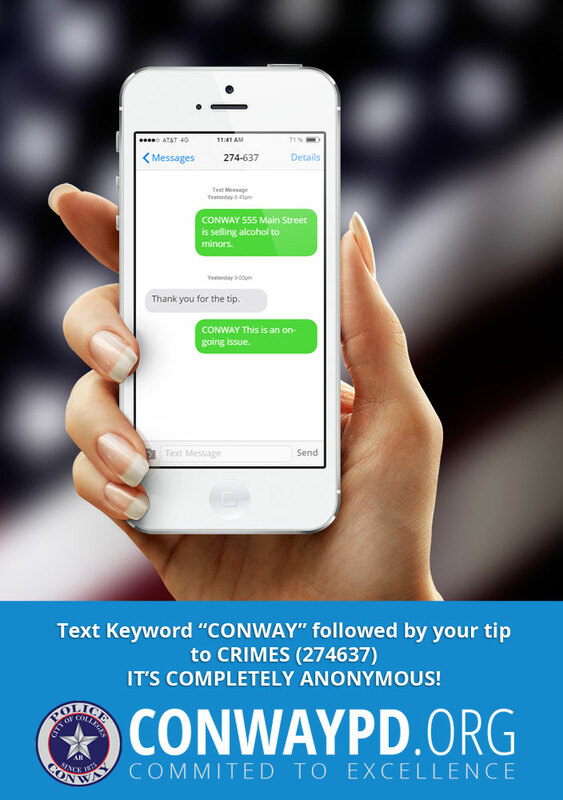 The Conway Police Department makes it easy to stay informed on crimes taking place in our city by offering information on all area crime, free to the public, within our website. 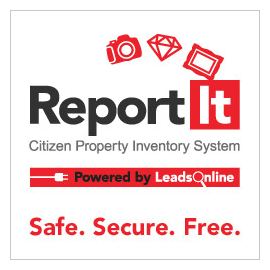 This tool is easy to use and can be customized by date range, types of incidents, and specific areas within the city. You may use the Arkansas Online Court Payment web site to pay your citation or payment plan payment. Search for and download an Arkansas Crash Report.